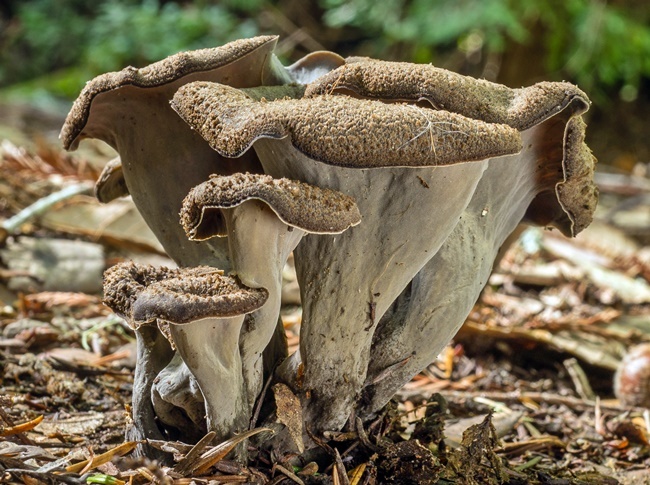 fruiting body is up to 8 cm broad, funnel-shaped, flaring at the mouth and hollow inside, mouth is dark brown or soot-grey/black. underside is smokey grey, sometimes with a lilac tint. grows on the ground grouped together under conifer/hardwood stands. appears in the early summer and fall. has a mild/pleasant taste and odor; cook before eating.